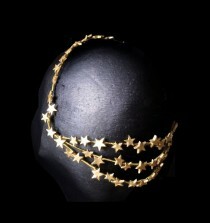 Gold crown with cold porcelain stars. 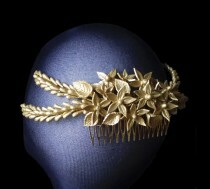 Each of the stars of this piece have been modeled and painted by hand. 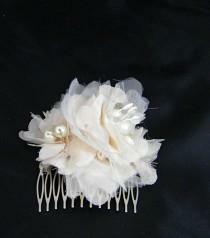 It's attached to the hairstyle with clips at each end for hairpins. 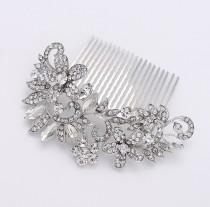 The front is formed by a thin row of stars and the rear combines 3 rows. 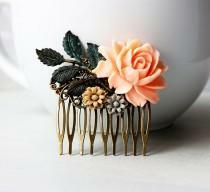 * This beautiful item is reserved for another customer. 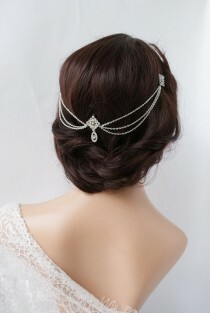 It will be my pleasure to design one especially for you (custom made) upon request - convo me for further details * Unique wedding veil of romantic vintage tulle with unique jeweled hair-comb. 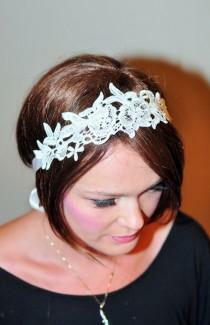 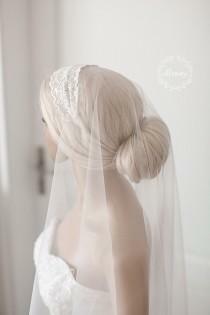 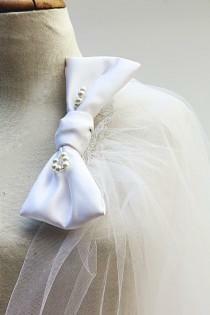 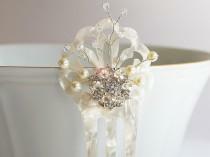 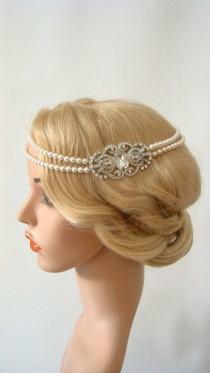 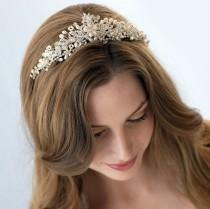 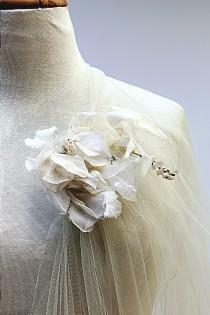 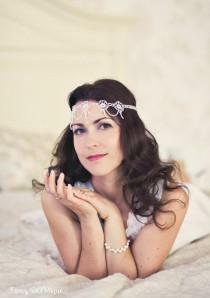 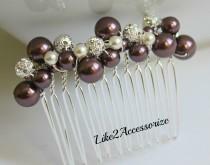 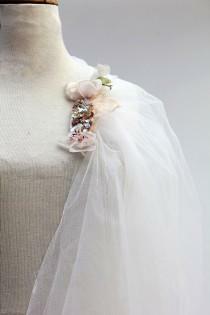 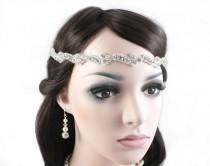 A beautiful statement pearl bridal headband with draping pearls. 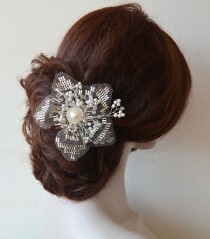 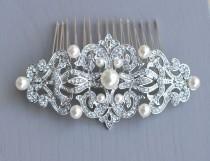 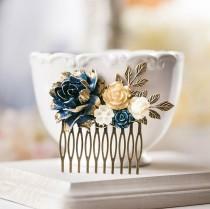 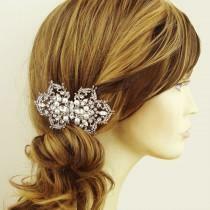 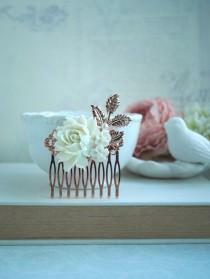 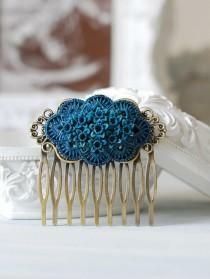 A beautiful art deco hair comb makes this piece to pop. 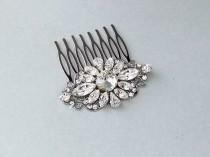 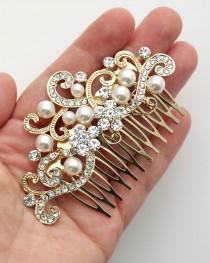 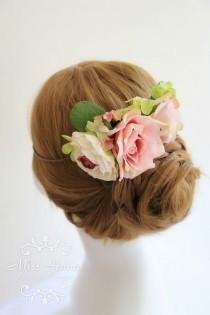 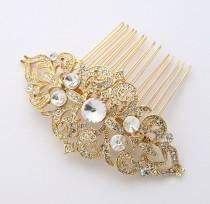 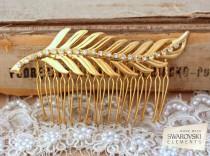 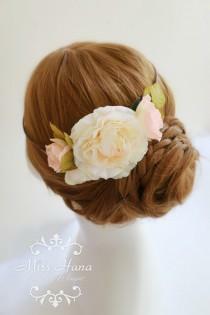 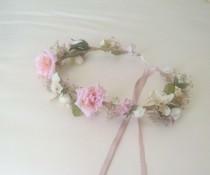 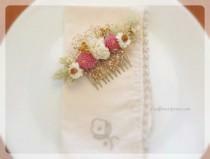 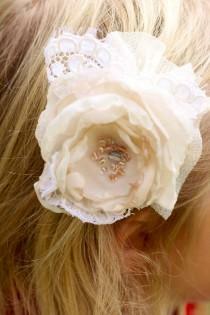 It can be worn as seen on pictures around your forehead with the hair comb put into hair at the back or at the side. 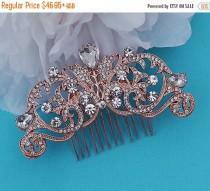 * This beautiful item is reserved for another customer. 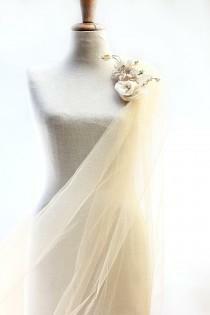 It will be my pleasure to design one especially for you (custom made) upon request - convo me for further details * Floral wedding veil of romantic vintage tulle with unique jeweled hair-comb.